There’s a lot about China I love, and even many Chinese customs I’d love to see in my own country. Then are also aspects of life here which I don’t particularly like but can understand the cultural, historical, or practical reason behind. And then there are the things about life here that defy explanation. 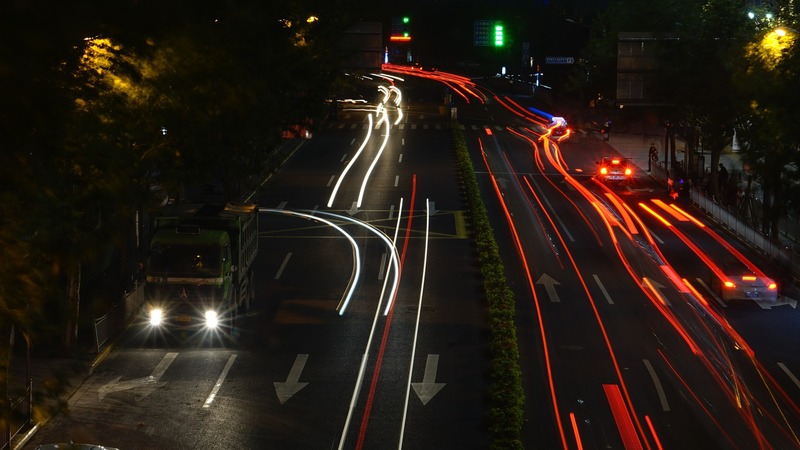 In the two provincial capitals we’ve lived in, taxis change drivers every day around 5-7 p.m. During that time, it becomes nigh on impossible to get a cab and you will stand there waving down taxi after taxi in vain until 7:30 rolls around. We’ve heard from friends it’s the same in many cities in China. Why do they need to change drivers during the absolute peak demand time for taxis? Why every single blessed driver and cab at once? Give me ten minutes and I can solve this for you. I’m not talking about melamine in baby formula or crooked corporate types taking bribes to deceive people on a grand scale. I’m talking about individual vendors who carefully drain eggs through pinholes and refill the shells with water, then sell them as real eggs to unsuspecting shoppers. Or who drape real fish skin over a rice-flour form to sell as an actual fish. That takes some talent, folks. But, why don’t you use your powers for good? Might I suggest an Etsy shop? Even the cheapest, awfullest brands are pricey here. WHY?? It should be “Panda Eats Shoots and Leaves,” yeah? First of all, major kudos for actually having trash receptacles available for the public to use. That is a big step up. Even if the public paid attention and 1) threw their trash into them and 2) put the trash in the appropriate side, it’s all in vain because the garbage collectors dump both sides out into the same pile to sweep up into their cart. Yes, all the passengers can smell it. The bullet-proof super-locked door does not keep smoke in the cockpit. Captain, as a friend, can I tell you something? If you really cannot make it through a one-hour flight without lighting up, you need to either cut back on your number of smokes per day, or find a different profession. I’m looking at you, China Eastern. When the sun is super-intense here in the Mile High City (oops, I mean, City of Eternal Spring), I am usually very happy when a bus pulls up to my stop with a glorious snowflake icon on its sign. Although it means an extra 1 kuai for bus fare, it means air conditioning!! But so often, I get on and realize the driver has not (and will not) turn on the A/C. Or even worse, I get on a bus that has its air-con going (or heater in the winter) and find that the passengers have opened the windows for better airflow. Oh well. It’s probably good for my qi. Security guards and employees will freak out if someone tries to bring a medium or large dog into their establishments, but if it’s something like a chihuahua or miniature poodle, they seem to be fine with their owners carrying them right in. This leads to some weird situations. I’ve seen off-leash dogs trotting down the aisle of a supermarket. I’ve seen little dogs pooping in the middle of malls. Don’t worry, their owners are right there, waiting for the dog to finish so they can pick up the poo and wipe the dog’s bum. I’m a dog lover, but this is all past my limit. I’m not a traffic engineer or city planner, but there has got to be a better solution than routing all two-wheeled traffic onto the sidewalk, which also hosts tree planters that everyone has to dodge around. Can we not put the trees on the inside of the thoroughfare instead of the middle? Can we have the scooter lane on the street? It only exacerbates things when vendors set up their ground cloths or carts in the middle of it all, and/or some parking attendant is directing cars to park on the sidewalk. Which means pedestrians walking in the street, dogs and cats living together, mass hysteria! Or, just another night in China. Crossing a major intersection as a pedestrian already gets my adrenaline pumping. It’s that much worse when the only time I get a green light to walk straight across is the same time oncoming traffic gets a green arrow to turn through the crosswalk. And most motorists seem to try their hardest to speed up and cut off pedestrians rather than yielding to them. Can we maybe not have pedestrians and cars competing for turf? Spoiler alert: the cars win. It’s like trying to tear off a section of yoga pants. Your turn! What about China (or any other country) is a mystery to you? Oh so true! Thanks for the reminders, Emily! I don’t miss those parts . . .
You’re welcome, Marcia! There are always things you miss and do not miss about each country, right? Oh, can I stop holding my sides from understanding laughing? This is even funnier because I know how comment is, like the shallow pool at the science museum with the sign “Please keep off the water”, and I had to wonder if they’d heard rumors about Jesus ……. It’s not China, but the signs in our city that should say “No swimming,” or something like that, say “Not to float.” We joke that anyone who falls in must sink. Wow! The mall dog owners pick up the poo in your city!?!?!? Did I read that right?? Yes, Robb, it’s true! Which leads me to ask… they DON’T pick up the dog poo inside the mall where you are?!?!? UGH. That is definitely a mystery no one can explain. Well, no, generally the owners just leave it behind for everyone to enjoy (same principle as split pants? ), and once everyone has enjoyed it enough, someone from the janitorial staff comes along and gives a little swipe with a mop that was most likely dunked in a backed-up squatty in preparation for cleaning. From my ethnocentric point of view “UGH” doesn’t even begin to cover it, but it’s all just part of the mystery. Almost anything online service needs a Chinese ID card to verify your identity. It’s gotten better but I still cannot do lots of things here that locals can easily do. I’ve heard of similar things happening with bank accounts because the employee who opened the account got confused about which of the many, many letters in the foreigner’s passport should be put down as the official name. Sigh. You are absolutely right about the Chinese ID problem. Good addition! Well, 7 out of 13 ain’t bad. 🙂 They are putting up a lot of barriers around here so that pedestrians can only cross at the crosswalk. Otherwise, you are right –it is often safer to cross in the middle! Haha! I feel ya, sister! We recently did our annual registry at the local police station, and my husband was noticed that, written in Hanzi, was a reminder that we could get a translator if we don’t know Chinese. Well if we don’t know Chinese, how could we have read that sentence in Hanzi?! Or how about this one: when taxi drivers want to go off the meter, but I think the price is too high, I sometimes offer them 10-20 kuai ON TOP OF whatever the meter calculates. They can pocket the extra, and it’ll just let us know what would have been a fair price. No one has ever taken me up on it. Sometimes this country makes me laugh pretty hard. Those are all so good, Samantha! Sometimes there’s not much you can do except laugh, right? Thanks so much for those great additions. I’m so late to comment on this but I just have to say thanks again for hitting the nail on the head (or 13 nails on their heads)! I just laughed and laughed. I was actually just wondering to my husband the other day how it was possible that Burger King could have bad English! Didn’t the English come first? BTW, have you had your BK sangria yet? And I highly recommend the lotus root pork burger. 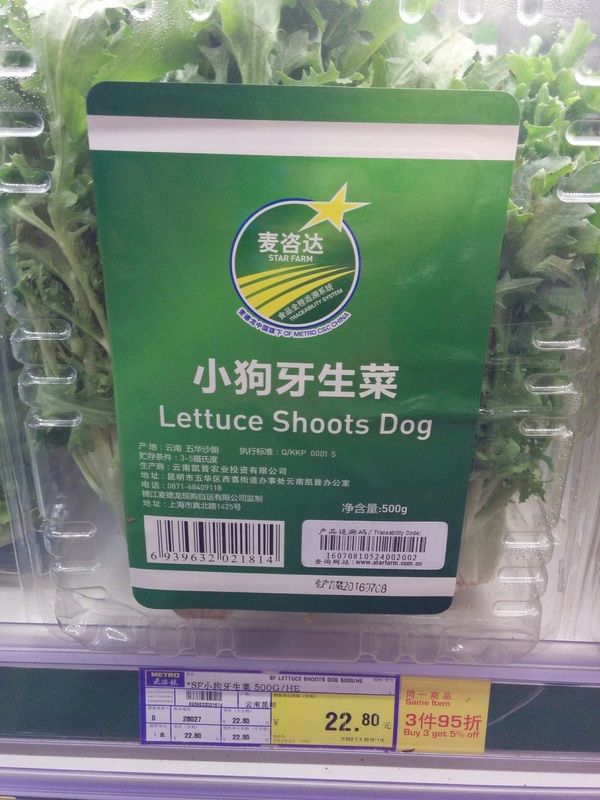 I also just took a picture of lettuce shoots dog at metro, too! My big pet peeve is Chinese KFC (which is not delicious anyway). How can they persist with their ridiculous system of having the same person who takes your order also have to fill it entirely before taking your money and moving on to the next person? Have they never walked into a McDonald’s or Burger King and seen that there is a better way?! Thank you, April! It’s definitely a mystery how an English-language chain could wind up with weird English. I actually just had the lotus root burger the other day. That would seem so exotic in the States. I’ll have to give the sangria a try next time we go. You know, I never noticed the KFC system. We don’t go very often here. But now that you mention it, they do always seem both chaotic and slow at filling orders. That would explain it! BTW, the Sangria is actually alcoholic. My friend didn’t believe it so she tried it to be sure :). And I forgot to comment about the stretchy toilet paper. I have lived with that every time we go to a hostel where they use cheap toilet paper, but only thought about it’s annoying cheapness and difficulty to tear, but it IS stretchy! What the heck?! And my kids are sometimes paralyzed by the garbage can choices. It’s even more confusing when it’s the ones that say recycling or organic matter. Wait, what?!? They are serving alcoholic sangria at BK? I assumed it was non-alcoholic. We’ve seen a few varieties of the English signs on trash cans. 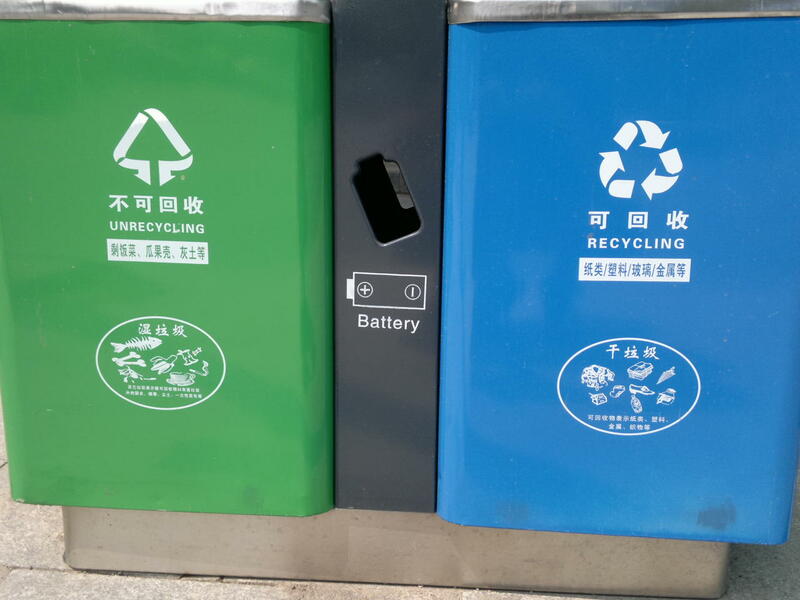 None of them are very clear, but thankfully, no matter where you throw your trash or recycling, it will probably end up in the right place. Thanks for sharing your insights. Our 9 years in a small China city was filled with all of these on a daily basis. In our city they would occasionally shut off the water to parts of the city saying there was a water shortage. However, you’d always see city water trucks spraying tons of water on plants and trees in the road median or on the sidewalk. As well, the street washer truck ran every single day – not really washing anything but just spraying and wasting water. The other thing which would drive me crazy was the No Smoking rule. Everywhere you’d go you would see No Smoking signs – in both Chinese and English. However, nobody seemed to follow the rule. Buses, hospitals, restaurants, taxis, etc. – it almost seemed that the sign really said Please Smoke. Thanks for those observations, Jim! It doesn’t make sense to keep spraying streets and plants during a water shortage. Sigh. I agree about the smoking, too. Probably my least favorite is in elevators. There have been a few times where I get on an elevator, and the guy quickly hides his lit cigarette behind his back. Sorry, sir, but it’s a very small space and it doesn’t take Sherlock to figure out who the culprit is who’s filling the elevator with smoke. That made me laugh, Cari! I suppose if they’re going to choose between smoking and drinking to get them ready to fly, I should be happy it’s smoking. Em you are laugh out loud funny!! Especially there yoga pants tp comment! Thank you so much for that encouragement, Lindsey! Miss you, too. hilarious! i guess i spend most of my time trying to laugh about it and move on because if i dwell on things it would bug me…so i can’t really think of anything to add 😉 but this is a riot. the tp!!! Thank you, Amanda! “Laugh and move on” is an awfully good motto for the quirks of life here. Speaking of holidays…here there is a crazy amount. Every religious holiday is taken off work. And our city is 99% Muslim. So strange. But not to complain…no make-up days here. Hmm….I’m not sure I would like that situation more than having to make up work days. It’s probably tough to schedule things or get things done if there are too many days when businesses are closed. I will remember to really appreciate the U.S. holiday schedule then next time I’m back there! Another mystery – Chinese people drinking coffee (say at Starbucks) late in the evening and never complaining about resultant insomnia. What is this magic?